November is going to be a month to remember as there will be two eclipses (A solar eclipse in Scorpio and a lunar eclipse in your sign, Gemini). Additionally, your ruling planet of Communications (Mercury) retrogrades in Sagittarius and your 7th House of marriage. November will be enlightening for all signs, so let's take a look and see what is in store for you personally, Gemini. The planet of love, Venus, begins the month in the compatible air sign of Libra, your solar 9th House of travel, higher education and your worldviews, Gemini. This transit began in late October (10/28) and ends on 11/21/12. Single or coupled, this is a transit that Gemini will enjoy. Jupiter (Prosperity/luck) in Gemini and Venus (Love) in the compatible sign of Libra bring about fun, flirtation and creative ideas. The only drawback might occur when Mercury turns retrograde on 11/6. Despite this, romance can feel majestic as long as you keep the lines of communication wide open with close partners, especially between 11/6 - 11/26, Gemini. Mercury, your ruling planet (Communications) will retrograde between 11/6 -11/26 in the sign of Sagittarius, your 7th House, Gemini. This is the last Mercury retrograde of 2012, Gemini. Whenever a planet retrogrades, look to the House that it falls in. For you, Gemini, it's your 7th House of marriage. There could be some delays or miscommunications in all areas regarding the topics of marriage, serious business contracts and legal negotiations. These areas might slow down temporarily however, with Jupiter assisting you, be patient and know that any delays or communication snafus will be temporary. Remember that this too shall pass, Gemini. Mars (Sexuality/Energy) will also be in your opposite sign and 7th House of (Sagittarius) until 11/16. On November 16th, Mars enters Capricorn and your 8th House where it joins Pluto - to bring about issues dealing with resources you share with others. This period can be a time of reflection for you, especially with Mercury retrograde. You might want to rethink something related to higher education, taxes or a relationship in which you are involved. This is a time when you notice that your professional ambitions will escalate and you will be willing to work harder and longer hours to achieve your desires and hopes. The end result will be more money in the bank, Gemini. A Solar Eclipse and New Moon occur in the sign of Scorpio on 11/13. This eclipse and New Moon will transit your 6th House of health and daily work. Good news, Gemini. This eclipse will bring about new offers regarding your daily work life and can boost your physical well being, as long as you have been diligent about your health and fitness regimens. To learn more about how this eclipse will affect you, always look to the House that the eclipse falls in and take note of properties of that House. More often than not, something will occur in this area of your life. At the end of the month, a Lunar eclipse and a Full Moon will fall in Gemini and your 1st House on 11/28. More good news, Gemini. Jupiter (Planet of expansion and prosperity) is in your sign creating a smooth angle to this Lunar Eclipse. Something you learn or hear about will thrill you. It could be news of a personal nature or it could be something you have worked hard on and receive exciting news that makes you feel ecstatic. The only caveat? You might feel that circumstances or forces beyond your control are at play and your efforts to assist others might not go according to plan as well on this date.To see/learn more about eclipses and how they could further influence you, click here. By now, you should have noticed the effects of Jupiter in your personal and professional life. With Jupiter in your 1st House, there will be an element of timing that feels destined. Expect luck and good fortune during these two eclipses, Gemini. There might be the need to end a relationship in order to make room for something much more attractive and appealing to you. Jupiter wants you to expand, help you achieve your goals and brings luck to those who have worked hard and put in the time, energy and effort. 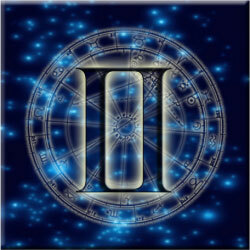 The signs of Leo, Scorpio and an Aquarius will play active roles in your life this month, Gemini.